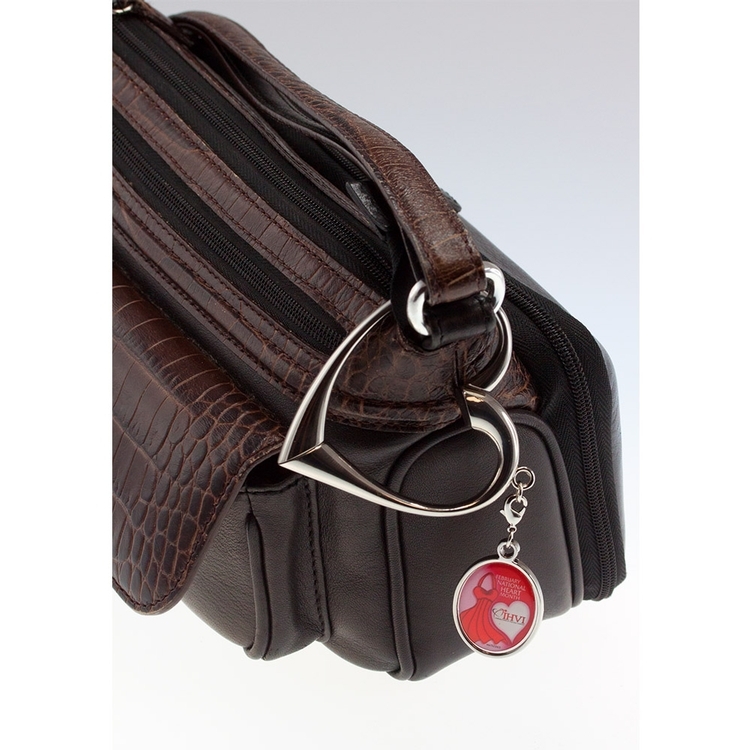 The Heart Swivel Purse & Bag Hanger keeps bags and purses off the floor and secure. 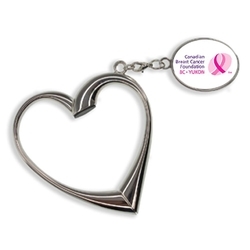 The exclusive heart swivel design is a fashion-forward women's gift, perfect for healthcare themes, female focused awareness campaigns or fashion and retail brands. 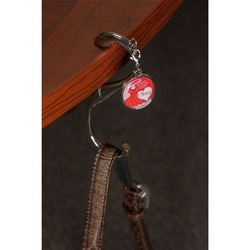 * Hook safely hangs purses, shopping bags & briefcases from any flat surface or over restroom stall doors. * When closed, wear the heart emblem around your purse strap for easy access and lots of compliments! * Includes oval custom emblem with full color imprint and poly dome. Imprint Area: 1-1/8' x 7/8"